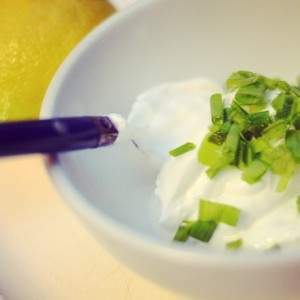 If you like savory foods and the creamy texture of yogurt, then you’ll want to add this Tzatziki spread to your repertoire of healthy recipes. 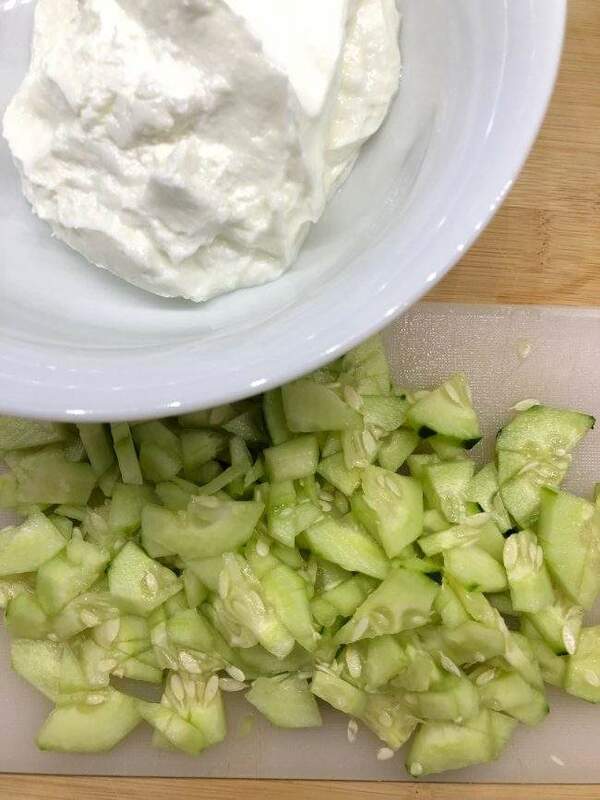 Tzatziki is a traditional Mediterranean dish that originates from Turkey and Greece. It’s made from strained yogurt, also known as Greek yogurt and mixed with cucumbers, garlic, salt, olive oil and sometimes lemon juice. Herbs like dill, mint or parsley are added. 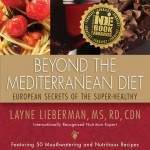 It’s served as a cold dip (sauce) with salads, meats, olives, bread and crackers. In Middle Eastern cuisine “mezze” platters are served with tzatziki alongside other salads and dips like hummus and baba ghanoush (cooked, mashed eggplant mixed with tahini and seasoning). 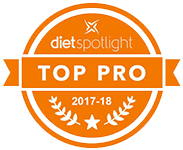 Greek yogurt is high in protein and calcium and low in calories. Cucumber adds fiber and a variety of vitamins and minerals. 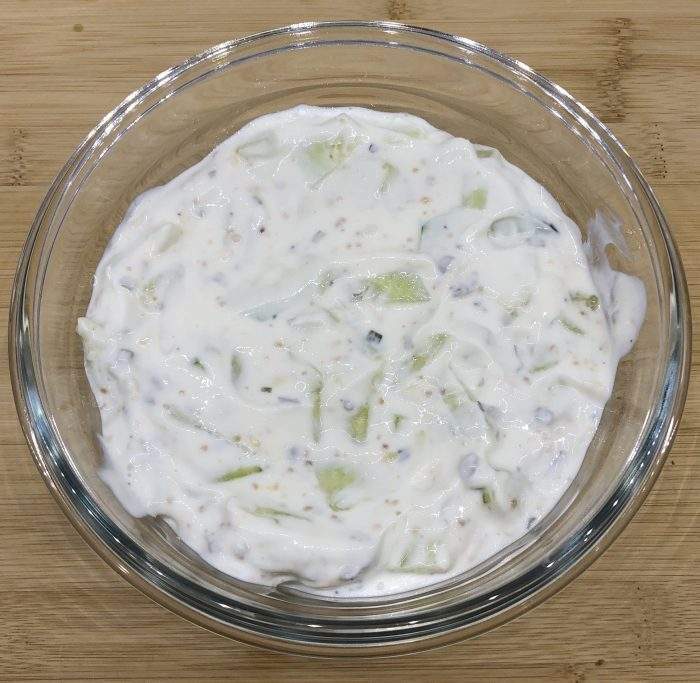 For an even more nutritious and delicious Mediterranean food experience, mix tzatziki with avocado. Then spread on spelt bread and top with chopped tomatoes and Kalamata olives. This recipe takes ten minutes to make and has endless possibilities! Serve it with fish or poultry for a refreshing dipping sauce. 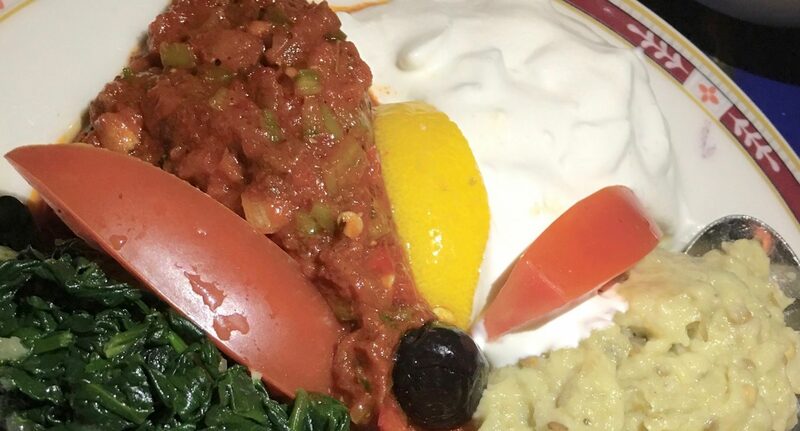 Tzatziki mellows out spicy cuisines such as Indian. If you like sweet with savory, a fruit chutney pairs well. Otherwise, simply serve with toasted bread, crackers and fresh vegetable crudité. Use nonfat or low-fat Greek yogurt. 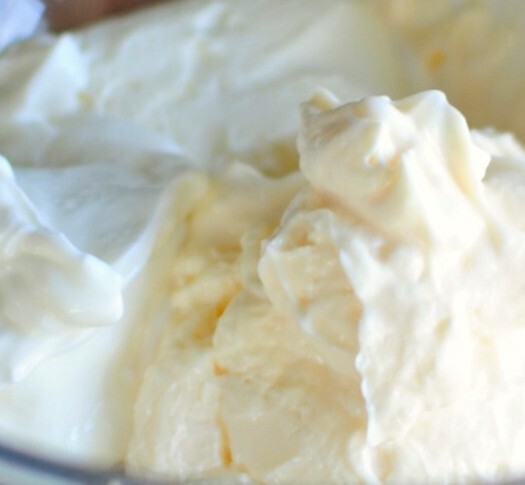 Greek yogurt is already strained, which results in a creamy consistency for the spread. Remove the seeds from the cucumber or use English cucumbers, sometimes labeled as seedless. Fresh garlic, lemon and dill add superb flavor. However if you dislike any of these ingredients, just leave it out. You can drizzle a small amount of fresh, cold-pressed extra-virgin olive oil on top before serving. Be mindful of the amount, because 1-tablespoon of oil adds 120 calories and 14 grams of fat. For flavors to meld, chill in the fridge overnight. This will stay fresh in the fridge for 3 to 4 days. 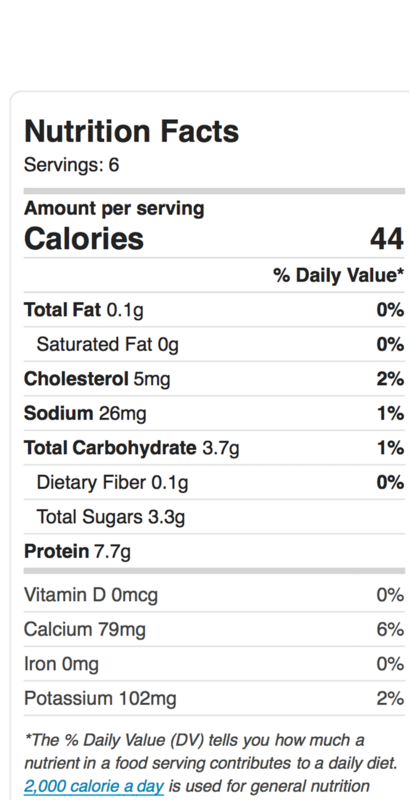 Nutrition Facts Per Serving, based on 6-servings: 44 calories, 0 grams fat, 7.7 grams protein, 3.7 grams carbohydrate, 79 milligrams calcium. Will It Be Yogurt Or Mayonnaise?